Homemade cakes - a great way to surprise the family on holiday or on weekday evening. Many Housewives face problems when cooking cakes and biscuits - they do not rise or settle when ready. To protect yourself from similar problems in several ways. It often happens that the cake in the oven looks amazing. You already be proud of yourself and imagine how your family will compliment the culinary skills of the hostess. But after fifteen minutes from the chic and lush pie is a thin layer of dough. This may occur for several reasons.The main and most common cause is sudden temperature changes. Error hostesses is that they too quickly take out the cakes from the oven and leave it to cool on the table. It turns out that of the two hundred and twenty degrees you drastically rearrange your pies 23-25 degrees. Due to such a sharp drop hot cakes and falling. To avoid this situation is to preserve approximately the same temperature throughout cooking. To do this, do not open the oven door in the first 25-30 minutes of baking. Once the pastry is ready, do not rush to get it out of the oven. Turn it off and leave the cake inside and slightly opened the door (about ten centimeters). Thus, you will ensure a gradual decrease in temperature, and your cakes will perfectly keep the volume. Not less common cause of subsidence pies is a violation of the formulation. Either you add more flour than you need or overdoing it with the baking powder or soda. In order to avoid the sedimentation of baking follow the recipe. Try to whisk the egg whites and yolks separately. A good way to keep pie - replace part of flour to two tablespoons of starch.Settles also and doughy cakes, so make sure that your dessert was prepared with a fully. 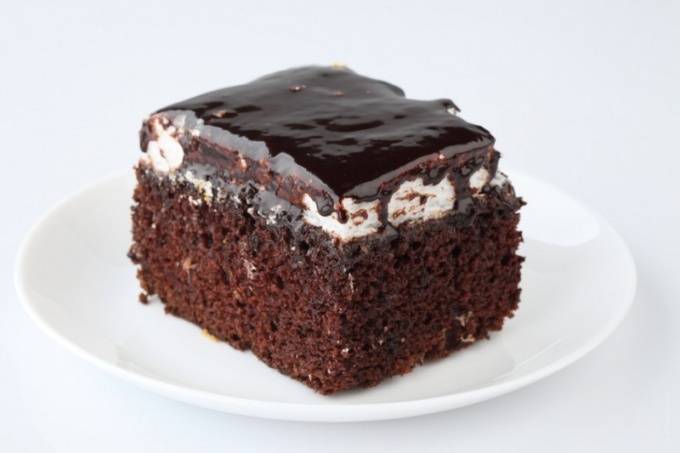 Another tip to maintain the volume of cakes - put them in an oven, heated until the end. Make sure that the temperature rose gradually. For example, if the desired temperature is 180 degrees, then preheat the oven to 120 and put in her dough. Ten minutes later, move the lever 180 degrees and bake the dessert required amount of time.